The fight continues. 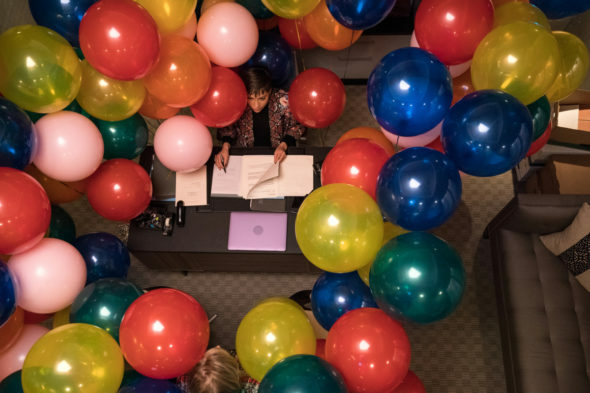 CBS All Access has renewed The Good Fight TV show for a third season, with a start date TBD. The Good Fight season three renewal comes nearly a month ahead of the second season finale, which will drop to CBS All Access on Sunday, May 27, 2018. A CBS All Access TV series, The Good Fight stars Christine Baranski, Cush Jumbo, Rose Leslie, Delroy Lindo, Audra McDonald, Sarah Steele, Justin Bartha, Michael Boatman, and Nyambi Nyambi. A sequel to The Good Wife, the legal and political drama centers on Diane Lockhart (Baranski), her goddaughter Maia Rindell (Leslie), and Lucca Quinn (Jumbo). May 2, 2018 – CBS All Access today announced the third season renewal of its hit original drama series THE GOOD FIGHT. What do you think? Are you a fan of The Good Wife TV series? Do you plan to check out the third season on CBS All Access? So glad this series is resuming. Thought-provoking, intelligent, well-written and wonderfully acted. Would cancel CBS all access if this show was cancelled. I love the The Good Fight—intelligently written—would applaud more episodes. This is a top of the pile show that needs expanding to 22 or 24 episodes.